Bestselling author Ken Blanchard and leading psychologist Morton Shaevitz offer advice for infusing the second half of your life with passion, energy, and excitement. . Both research and common sense confirm that people who embrace these years with gusto-rather than withdrawing or waiting for things to happen-consistently make the rest of their lives the best of their lives. They tell the compelling story of Larry and Janice Sparks, who discover how to see each day as an opportunity to enhance their relationships, stimulate their minds, revitalize their bodies, and grow spiritually. 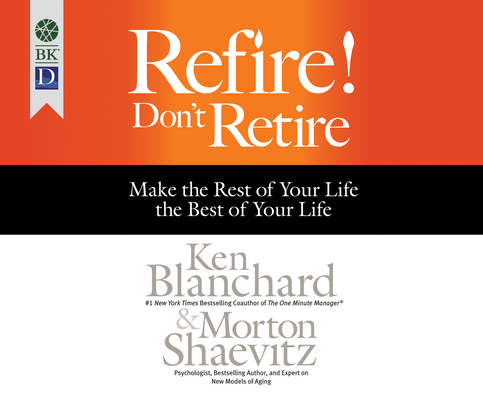 Readers will find humor, practical information, and profound wisdom inRefire Don't Retire. Best of all, they will be inspired to make all the years ahead truly worth living.